MK Machining is excited to announce our MK2 Bullpup Chassis. We are currently debuting our first MK2 Bullpup Chassis at Shot Show 2019. Much more information will be available following Shot Show including pricing, preorders, and footage of it in action. 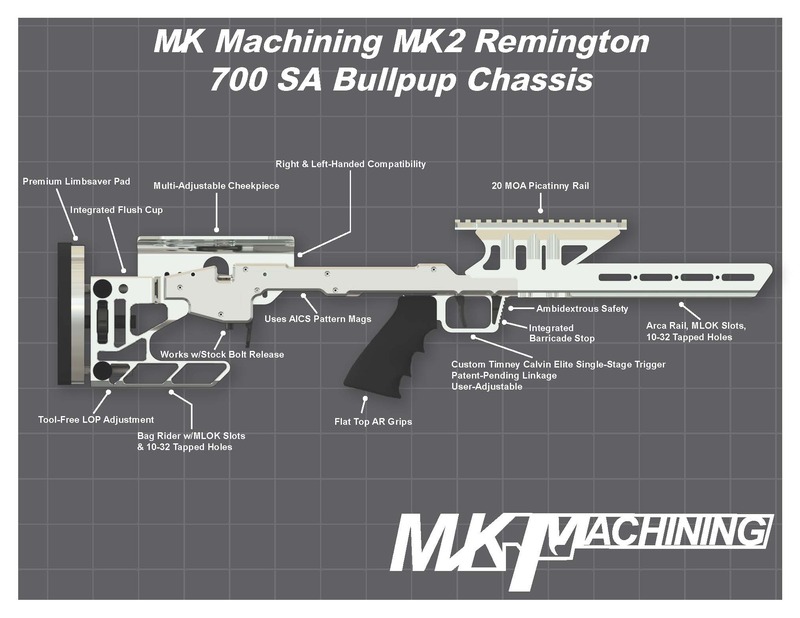 Until then please check out this graphic we have prepared to showcase the features of our upcoming MK2 Bullpup Chassis. As always make sure to keep an eye on our social media for more information our MK2 Bullpup Chassis.